For maps, more things to do, and other tourist information, read Whistler tour itinerary planning site . Chandigarh, India to Whistler is an approximately 22.5-hour combination of flight and bus. The time zone difference when traveling from Chandigarh to Whistler is minus 13 hours. In December, Whistler is much colder than Chandigarh - with highs of 0°C and lows of -6°C. Finish your sightseeing early on the 24th (Mon) so you can fly to Vancouver. You'll get in some beach time at Kitsilano Beach and Wreck Beach. Head to Granville Island and Granville Island Public Marketfor plenty of shopping. There's much more to do: kick back and relax at Spanish Banks, take a stroll through Vancouver Downtown, look for all kinds of wild species at VanDusen Botanical Garden, and tour the pleasant surroundings at Stanley Park. For where to stay, more things to do, traveler tips, and tourist information, go to the Vancouver road trip site . Traveling by flight from Whistler to Vancouver takes an hour. Alternatively, you can drive; or take a shuttle. In December, Vancouver is a bit warmer than Whistler - with highs of 7°C and lows of 2°C. Finish your sightseeing early on the 27th (Thu) to allow enough time to travel to Quebec City. Kick off your visit on the 28th (Fri): identify plant and animal life at Niagara Parks Butterfly Conservatory, then admire all the interesting features of White Water Walk, and then take in panoramic vistas at Skylon Tower. Here are some ideas for day two: do a tasting at Caroline Cellars Winery, then stroll through Crystal Beach, and then try to win big at Niagara Fallsview Casino. To find traveler tips, other places to visit, photos, and tourist information, refer to the Niagara Falls online trip itinerary builder . Getting from Vancouver to Niagara Falls by combination of flight and train takes about 9.5 hours. Other options: do a combination of flight and bus; or drive. The time zone difference moving from Pacific Standard Time (PST) to Eastern Standard Time (EST) is 3 hours. Traveling from Vancouver in December, expect Niagara Falls to be slightly colder, temps between 3°C and -3°C. 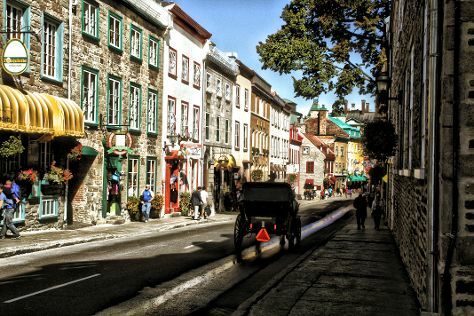 Wrap up your sightseeing on the 30th (Sun) early enough to travel to Quebec City. Kick off your visit on the 30th (Sun): wander the streets of Quartier Petit Champlain, contemplate in the serene atmosphere at Eglise Notre Dame des Victoires, and then appreciate the extensive heritage of Place Royale. On the 31st (Mon), you'll have a packed day of sightseeing: appreciate the extensive heritage of Old Quebec and then learn about all things military at La Citadelle de Quebec. To see traveler tips, more things to do, other places to visit, and more tourist information, you can read our Quebec City travel route planner. Do a combination of train and flight from Niagara Falls to Quebec City in 7 hours. Alternatively, you can drive; or take a train. Finish up your sightseeing early on the 31st (Mon) so you can travel to Mavillette. 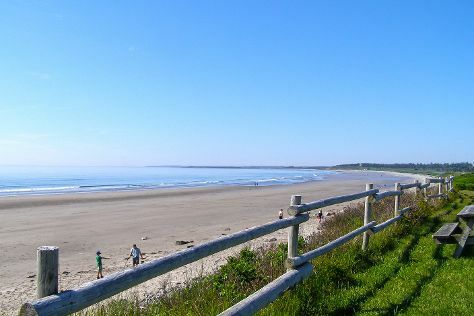 On the 1st (Tue), tour the pleasant surroundings at Port Maitland Beach Provincial Park, then enjoy the sand and surf at Mavillette Beach Provincial Park, and then pause for some serene contemplation at Eglise Sacre-Coeur. For other places to visit, reviews, where to stay, and tourist information, you can read our Mavillette online day trip planner . You can drive from Quebec City to Mavillette in 10.5 hours. 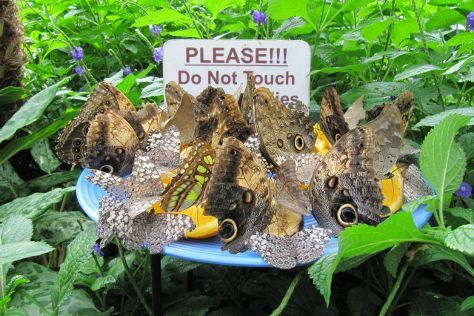 Alternatively, you can fly. The time zone difference when traveling from Quebec City to Mavillette is 1 hour. Expect somewhat warmer temperatures when traveling from Quebec City in January; daily highs in Mavillette reach 1°C and lows reach -5°C. Cap off your sightseeing on the 1st (Tue) early enough to travel to Gros Morne National Park. Start off your visit on the 2nd (Wed): examine the collection at The Discovery Center, then stop by The Glass Station, and then enjoy the sand and surf at Shallow Bay Beach. To find photos, where to stay, and more tourist information, go to the Gros Morne National Park trip maker tool . Explore your travel options from Mavillette to Gros Morne National Park with the Route module. Plan for slightly colder temperatures traveling from Mavillette in January, with highs in Gros Morne National Park at -3°C and lows at -11°C. Finish up your sightseeing early on the 2nd (Wed) so you can travel back home.